Remember when you walked into the General Store, heard the jingle of the bell as the door closed, walked up to the glass counter as your mouth watered at all the glass jars full of your favorite candy? Memory Lane Sweets is that kind of store you remember! Your favorite candies from the good ol' days are back. Too young to remember the penny candy and general store experience? You missed out! But thanks to Memory Lane Sweets, you can experience it yourself. York, PA is undergoing an exciting revitalization as small business is booming in the city, tourists are coming to learn about our rich history, and our cobblestone streets and walkways are alive with friendly faces. 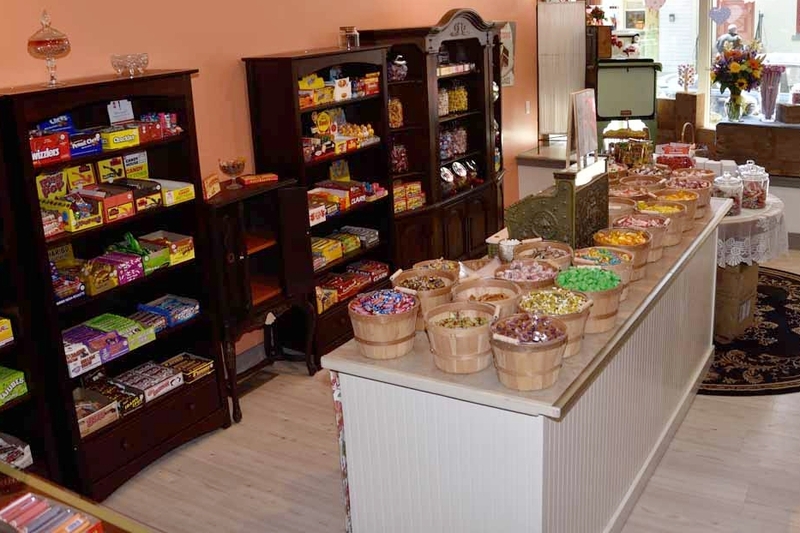 Memory Lane Sweets is a few steps from Market Square. A shoppe unlike any other, come visit us and step back in time. Can you name this candy? VISIT US AND TASTE A free SAMPLE! "Bringing back the penny-stores for our kids generation." Don't worry - we can't stop eating them either! Have a party to impress? Order online and choose PICK UP INSTORE. We will get it ready in 15-minutes, pay when you arrive or online. Sign up with your email address to receive exclusive specials and coupons! Thank you! We will send you exclusive coupons and specials - and keep you posted on excited events at our store!